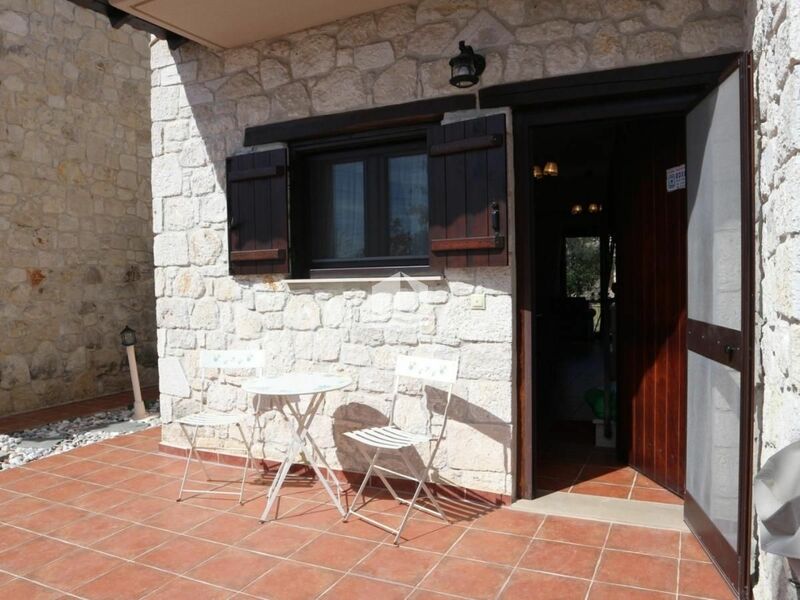 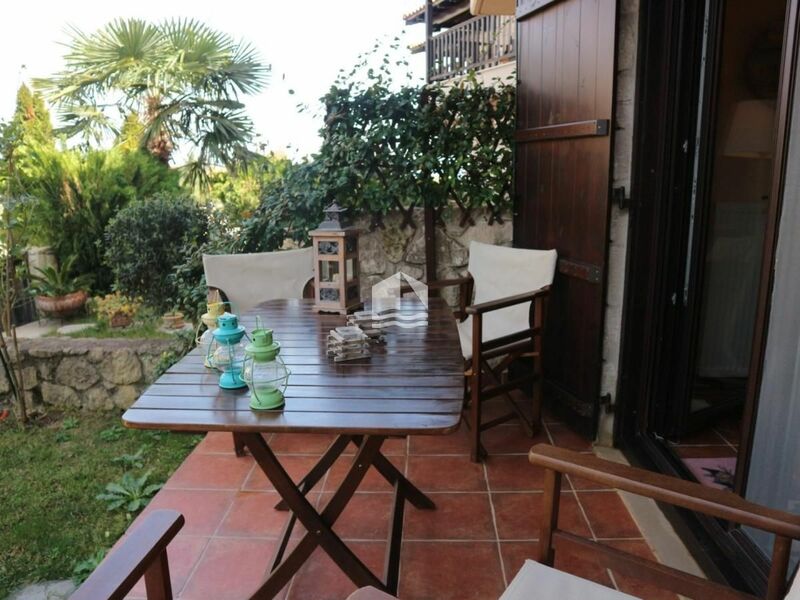 Book your vacation home rental in Chalkidiki, choose the lovely stone-built maisonette in Afytos. 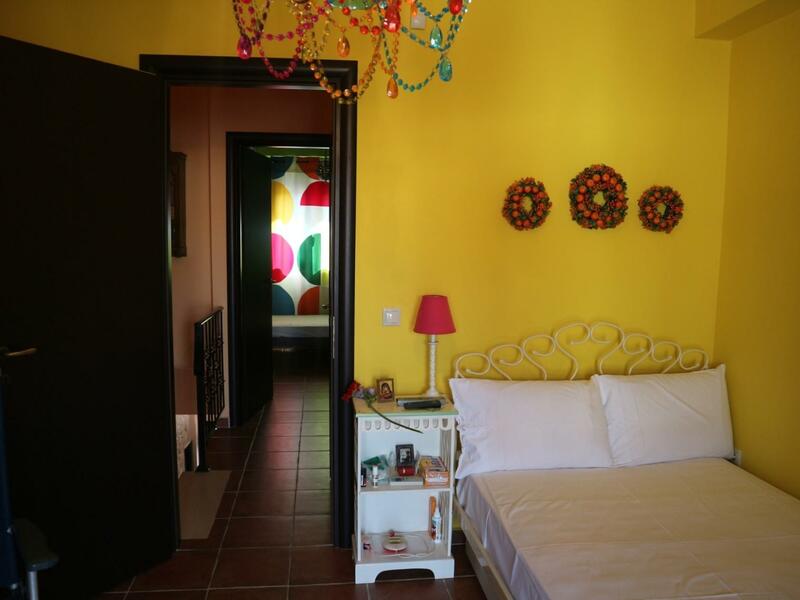 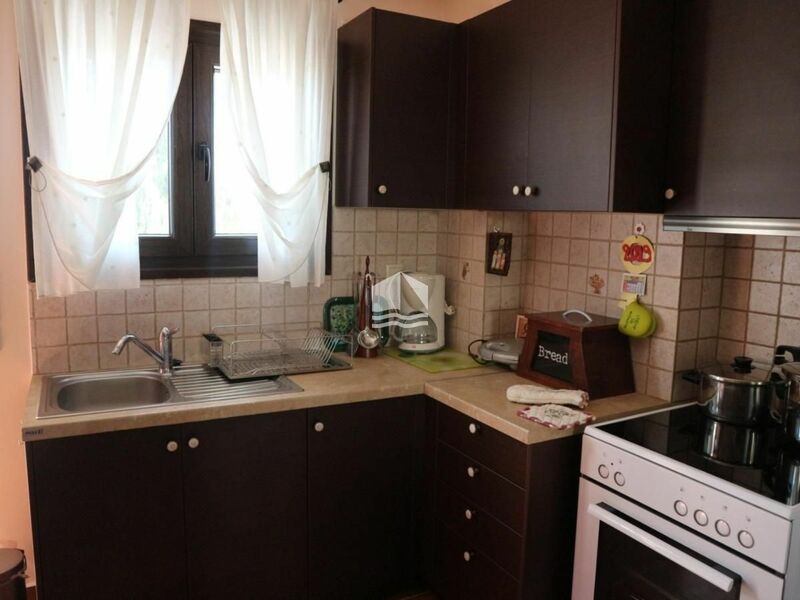 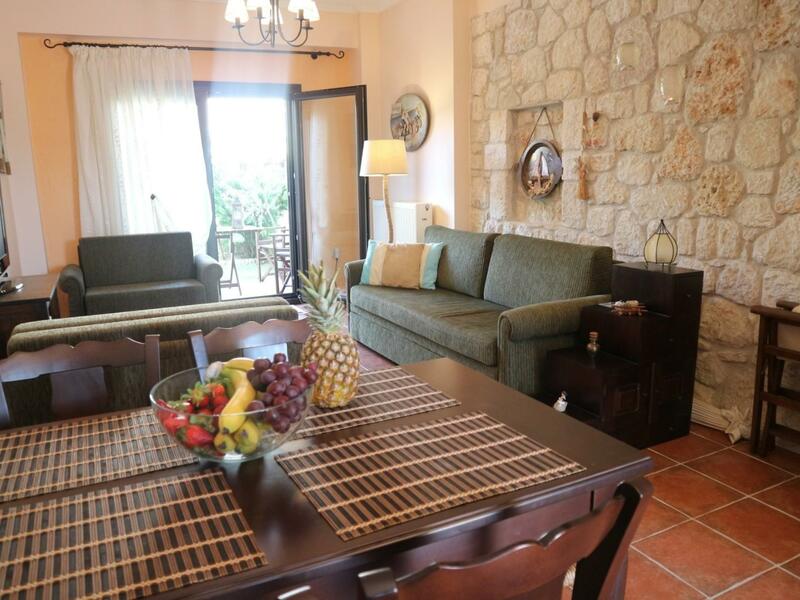 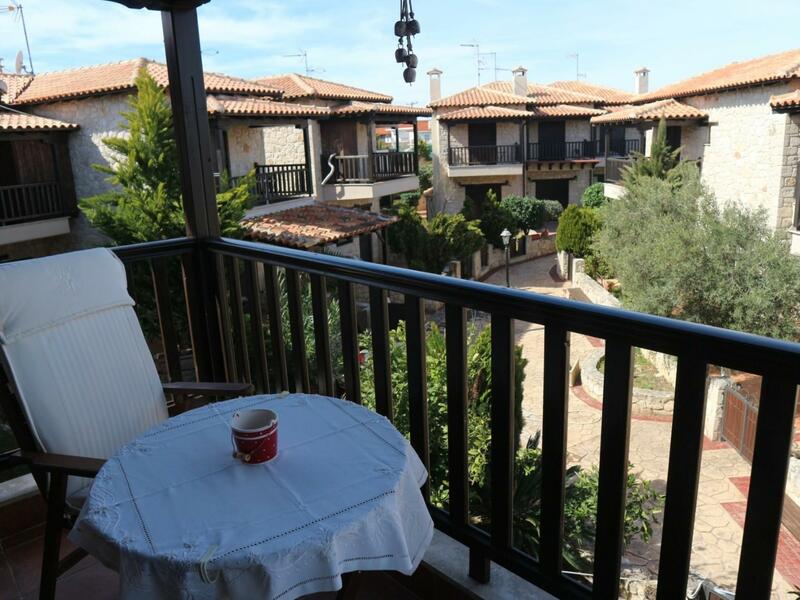 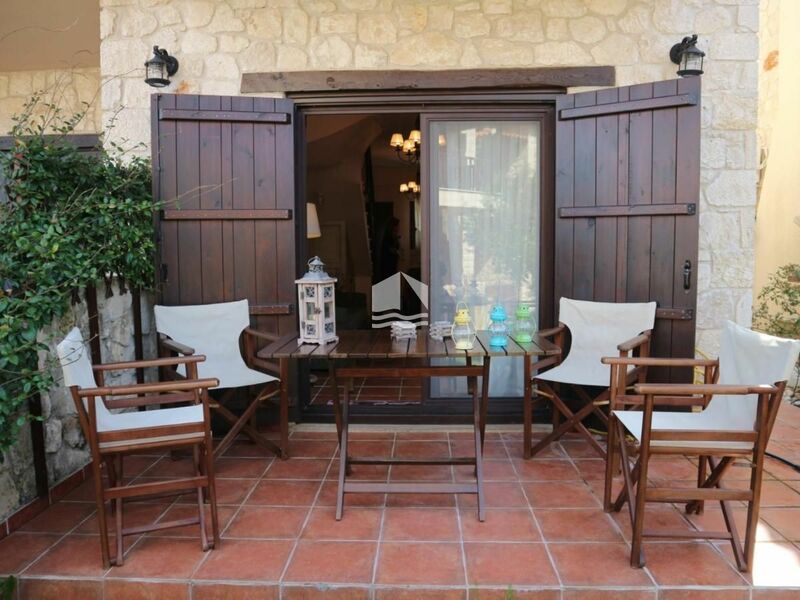 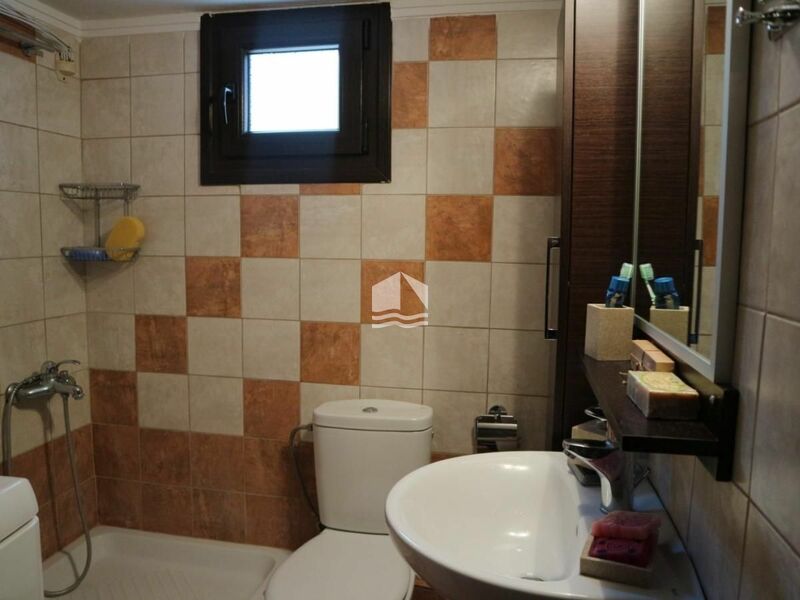 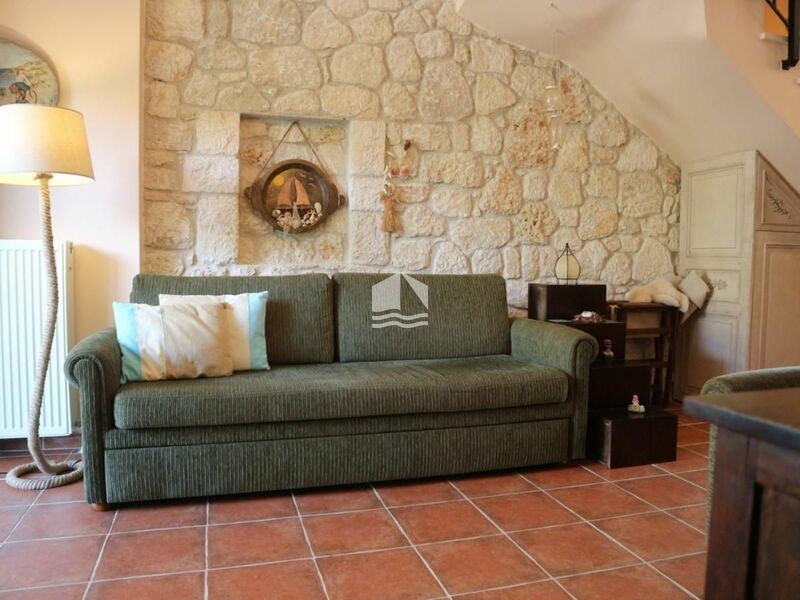 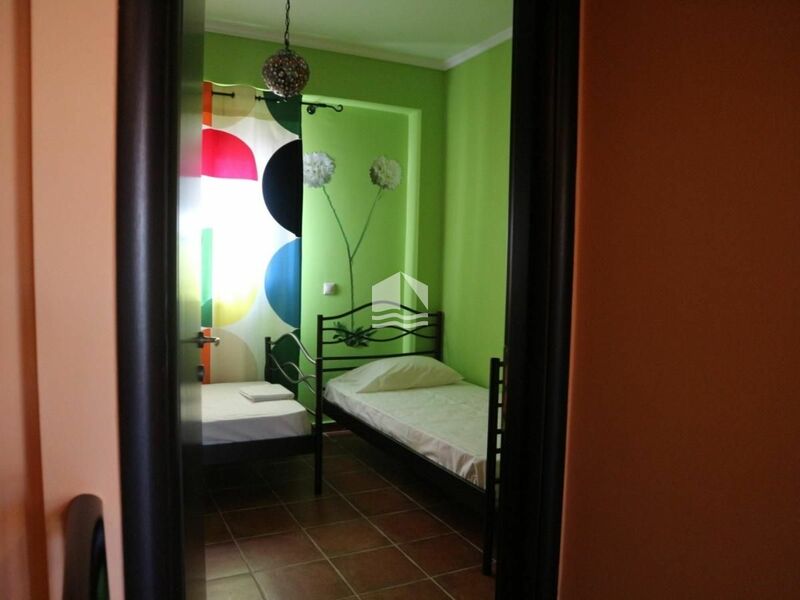 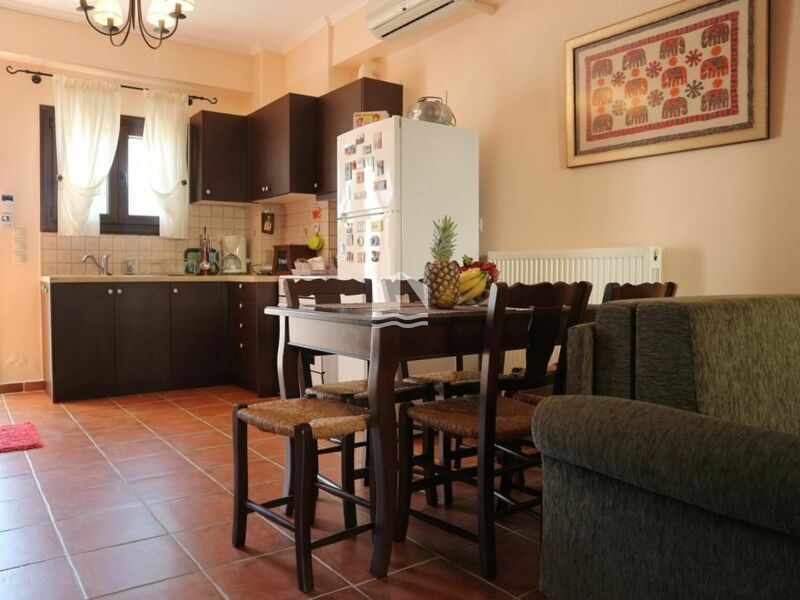 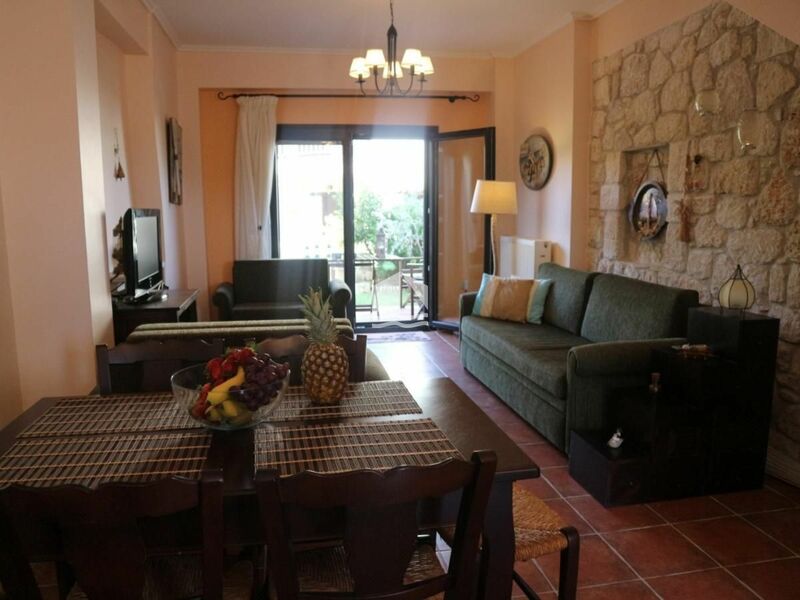 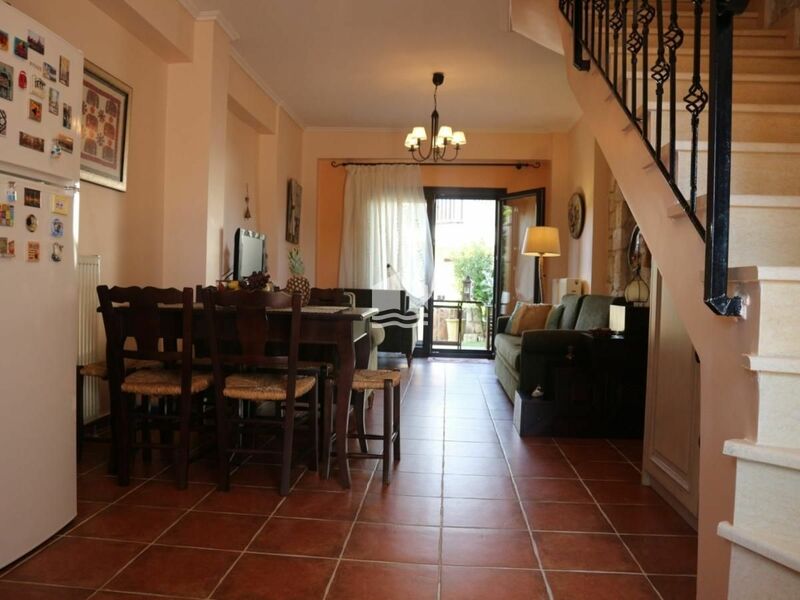 This house is located in the main street of Afytos and can accommodate up to 5 guests. At the ground floor there is the fully equipped kitchen and the living room with a sofa-bed. 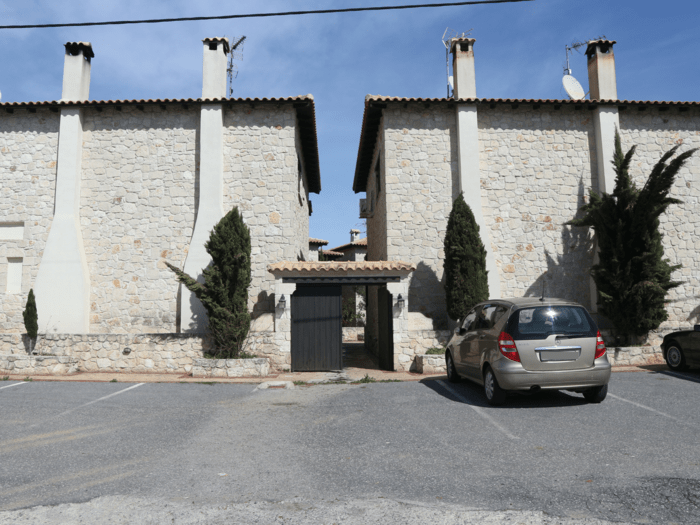 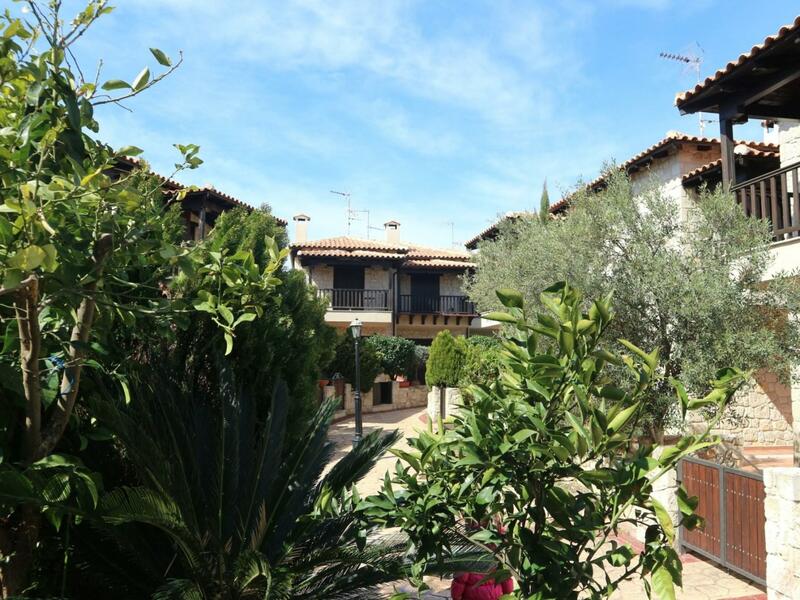 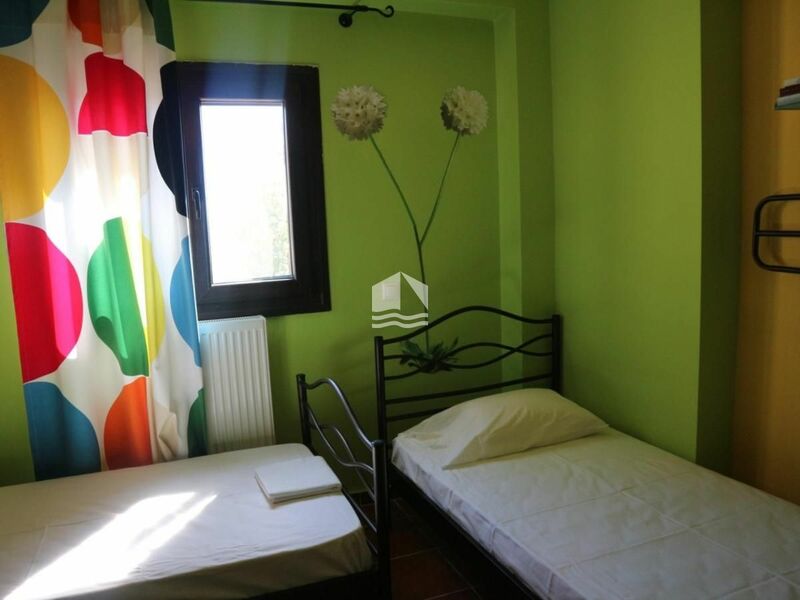 You also have access to the beautiful garden of the maisonette.At the first floor you will find a double bedroom and a bedroom with two single beds. There is a bathroom with shower, too. From the balcony, you will admire the garden view.In about 15 minutes you reach the nearest beach of Afytos on foot. 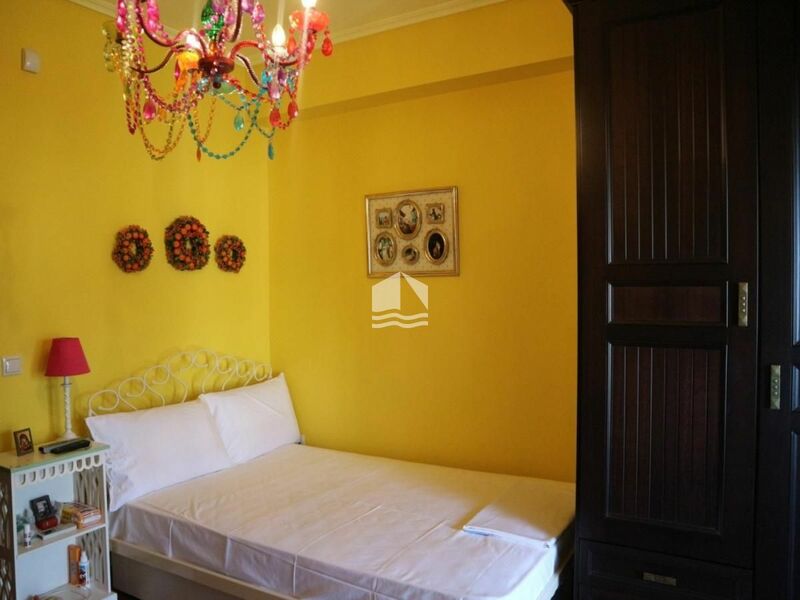 For reservations contact us at [email protected].